In part of the Living Texts series, I wanted to create a "library" of bacteria from some of my favourite books. 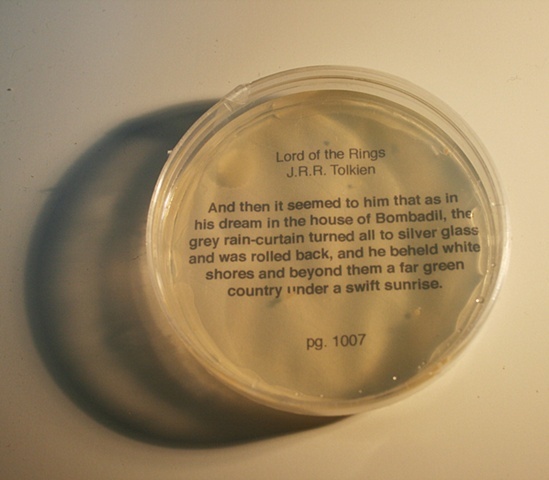 I took excerpts from some of my favourite books, swabbed the text on the page with a sterile cotton loop, and then streaked agar plates in order to culture the bacteria growing on the page of the book. Whatever bacteria/fungus that was present on the text of that page is what ends up growing on the plate.